Once Swami picked up a south african devotee for the interview. This devotee is full of doubts about Baba and that was the first time he came to Parthi with an intention to understand Baba. After talking to him for a while Swami asked him what do you want then the reply came I want a watch. Baba immediately materialised a watch and gave him. The testing devotee asked further that I want the bill. 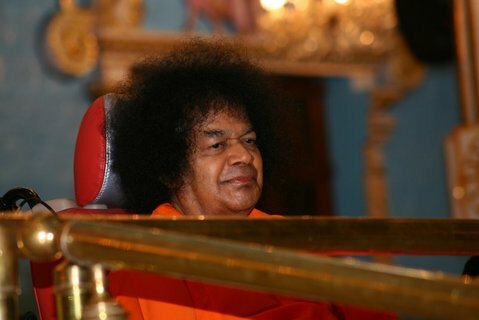 Well, Swami waved His hand in the thin air to give a bill, which, to the astonishment of the devotee had the address of this very devotees home town in South Africa, with that days date. Totally surprised devotee took that invoice and came out of the room wondering how could on earth Swami could buy a wach from his own town which was more than 10,000 miles away from Parthi. On his return to his town he went to the shop which issued that invoice to find the duplicate and checked. It was there. No magic, the duplicate was existing, the shop owner recollected the incident and narrated "On that day a small tiny person with curly hair and red robe came to my shop to buy the watch. He spend a long time to select this one and took it, paid the money. He immediately left the place. But after a few minutes He came back and asked for the receipt. Very pleasing personality .......... The shop keeper continued. From: Sai journal published by South African devotees.